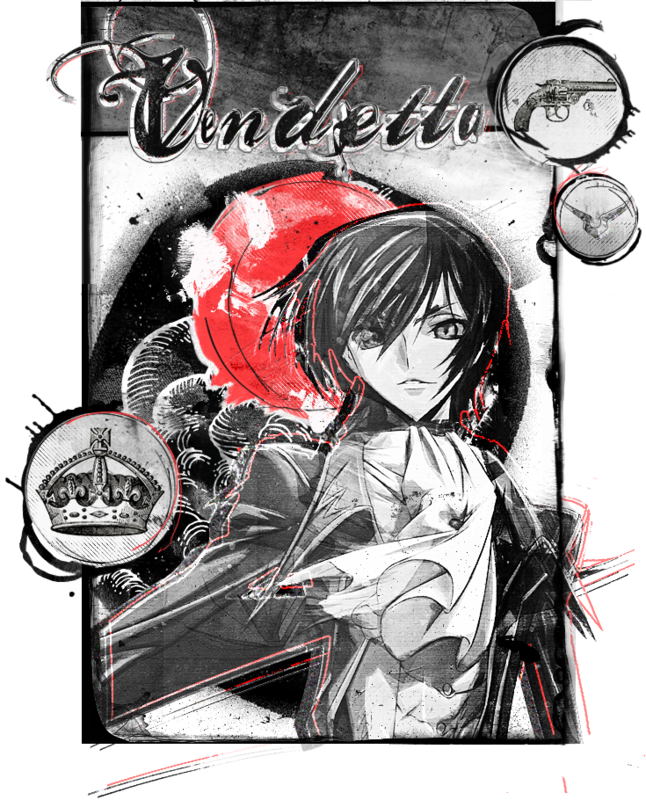 Welcome to Vendetta, a fanlisting dedicated to Lelouch Lamperouge. I hope you will enjoy your stay and, if you are a fan, please consider joining! Already know about fanlistings? You can go straight to grab a code and get added on the list. Never heard about fanlistings before? Don't worry, the about section has everything you need to find out more. This layout is responsive and was tested on a Macintosh computer with the latest versions of Mozilla Firefox and Safari, and on iOS but it should work with all the resolutions and browsers available. If you own a fanlisting related to Lelouch Lamperouge and would like to affiliate with, please contact me.